Surgeons are highly trained medical professionals expected to exercise appropriate care and exhibit necessary expertise when performing procedures on patients. Surgeons, however, make mistakes. In some cases, the errors made are so basic it is hard to imagine how a professional could have made the mistake. For example, a surgeon operating on the wrong patient; operating on the wrong side of a patient; putting in the wrong implant; or leaving an instrument inside of someone can seem unthinkable because such a highly trained doctor should never make such an obvious error. These events are even called never events because they shouldn't ever occur. The reality, however, is never events happen every year. Some estimates suggest a "never event" happens about once every 12,000 procedures. If you are one of the victims of these mistakes, you need to contact an Atlanta surgical malpractice lawyer to find out how you can pursue a case to recover compensation for losses. The Mayo Clinic conducted a study to determine why never events are happening and News Medical reported on the results. 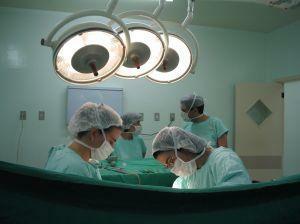 Researchers reviewed records from more than 1.5 million surgical procedures. Researchers noticed a trend- many never events were occurring in simple procedures like anesthetic blocs, line placement, soft tissue and skin procedures, interventional radiology procedures, and endoscopies. Researchers picked out 69 different situations where never events occurred and then assessed the factors resulting in the error. Preconditions for action: This included things like becoming overly focused on a narrow issue (being unable to see the forest for the trees), inadequate communication, and being mentally tired. Unsafe actions: This included failures of understanding, rule and regulations violations, and confirmation bias (seeing what you expected to, rather than what is in front of you). Oversight or supervisory factors: This included planning problems and staffing deficiencies. Organizational factors: This included operational process issues and problems with the organizational culture. Each of these different levels of errors included multiple different factors that were on that level. When assessing all of the human factors that contributed to the occurrence of the "never event,a total of 628 human errors were found. In each mistake, approximately four to nine human errors led to the problems that affected the patient. In other words, for something to go wrong with patient care, multiple human errors must be committed. Since there are multiple small oversights and errors that result in a major error occurring, surgical mistakes can often be prevented by putting safeguards and checks into place. For example, a bar code scanning system can be used to make sure surgical instruments are not left inside of a patient. It is up to doctors and healthcare providers to try to prevent human error, and up to hospital and clinic systems to ensure there are checks and balances so inevitable oversights don't have terrible consequences for people receiving care. If a provider or facility fall short, victims have the right to pursue a case for compensation from all those who are responsible. The Atlanta surgical error lawyers at Van Sant Law, LLC can represent you after an injury caused by a negligent surgeon. Call today at 404-991-5950 or contact us online to schedule your free consultation.